Da Bears Blog | Audibles: Enthusiasm Grows, Cutler Stars, Gabriel Catches & More! Bernie LaReau spent a lifetime as an athletic trainer for several professional teams, most notably the Chicago Bears. Not bad for a farm boy from Beaverville who graduated with a degree in accounting from St. Joseph College in Rensselaer, Ind. The St. Anne High School graduate spent more than 52 years as a trainer for several professional teams. “I’m real happy the way things turned out,” LaReau said in a 2011 interview with the Daily Journal. LaReau passed away July 5 in San Antonio. He was 81. After his years in professional sports, LaReau came back to Beaverville in 1998 and worked for Riverside Medical Center and Orthopedic Associates of Kankakee. He worked for 11 years as a substitute teacher and athletic trainer for several area high schools, including Central, St. Anne and Momence. He capped it off with St. Anne’s boys basketball team winning the Class 1A championship in 2008. 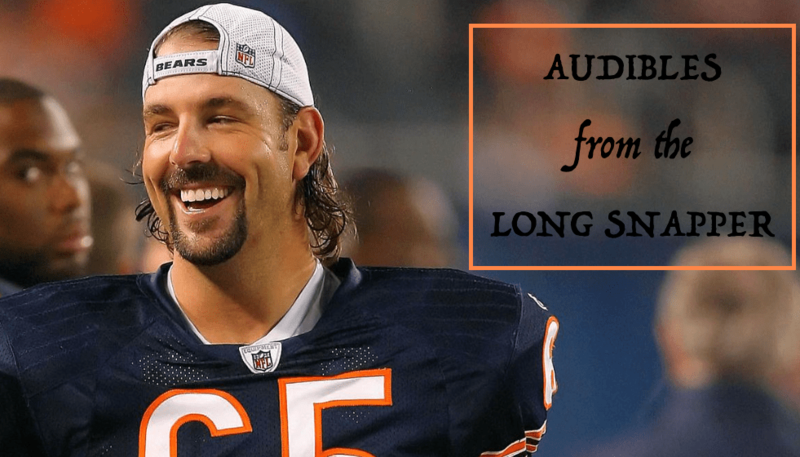 LaReau did two stints with the Chicago Bears and was beloved by those he worked with in the organization. Rest in peace, sir. Adam Jahns provides, unsurprisingly, the best profile of Matt Nagy thus far. There are some funny photos of Staley in this collection from the PNC Chicago Bears 5K. (Check out #2) This seemed like an amazing event and I wish I was in Chicago to be part of it. Jordan Howard thinks Mitch Trubisky has “more command of the team this year”. Well, yea. This time last year the Bears went out of their way to bury Trubisky on the depth chart and kept him buried there despite everything they saw on the practice/preseason fields. Trubisky has command now because Trubisky has the team.